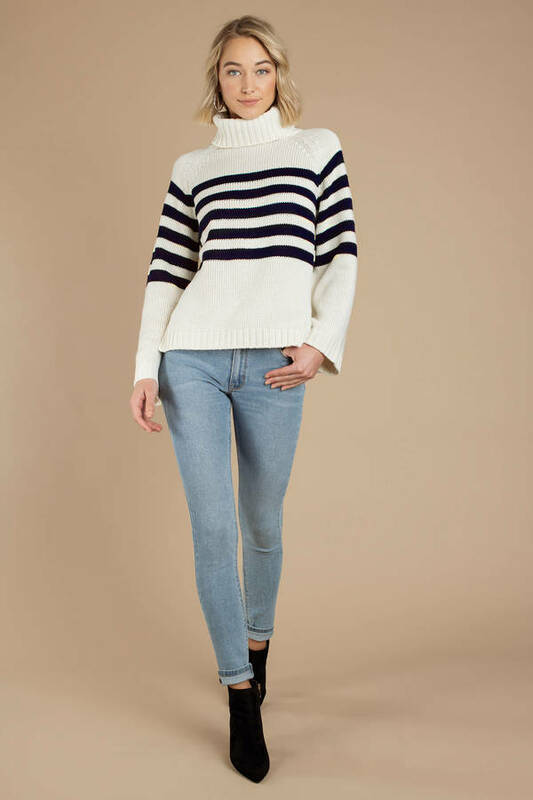 Check out Tobi's Mckenzie Turtle Neck Knit Sweater Snuggle up in Lucca Couture's Mckenzie Turtle Neck Ivory Multi Knit Sweater. 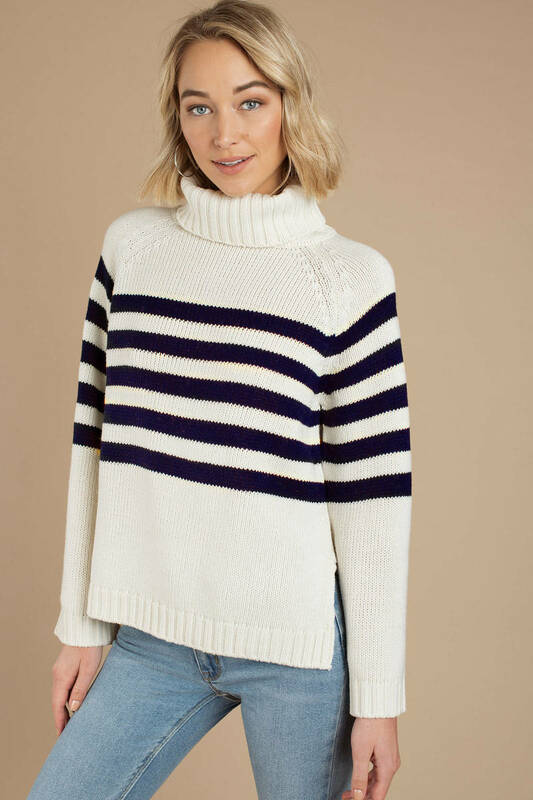 You'll be wishing it's cold 24/7 with this cool striped sweater, featuring a turtleneck construction, five long stripes along the bodice, and the softest, most comfortable fit. This side split top will look stunning with jeans and a beanie. 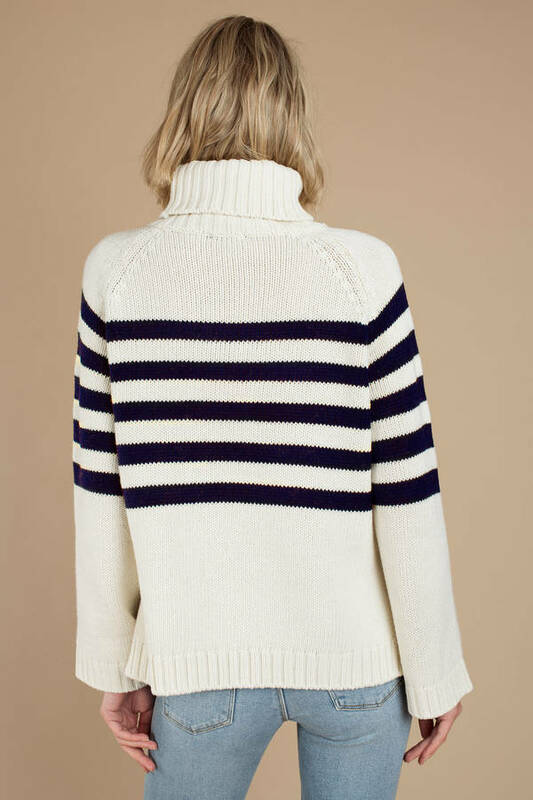 Snuggle up in Lucca Couture's Mckenzie Turtle Neck Ivory Multi Knit Sweater. 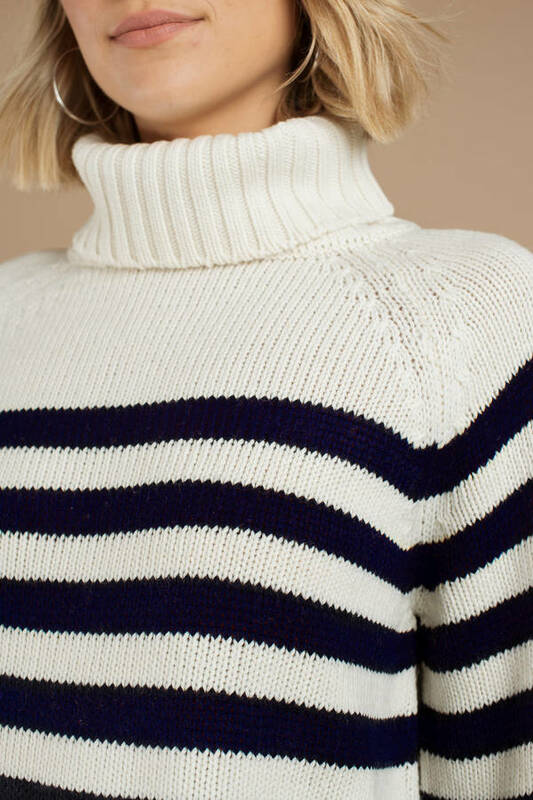 You'll be wishing it's cold 24/7 with this cool striped sweater, featuring a turtleneck construction, five long stripes along the bodice, and the softest, most comfortable fit. This side split top will look stunning with jeans and a beanie.